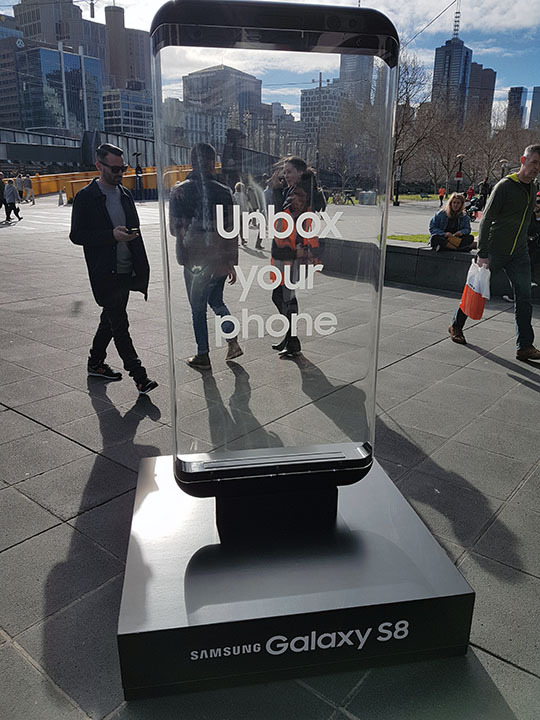 Part of the Unbox Your Phone campaign for the Samsung Galaxy S8, we produced a life size version of the phone. Creating an effect and ambiance through lighting and a transparent view to the city scape. 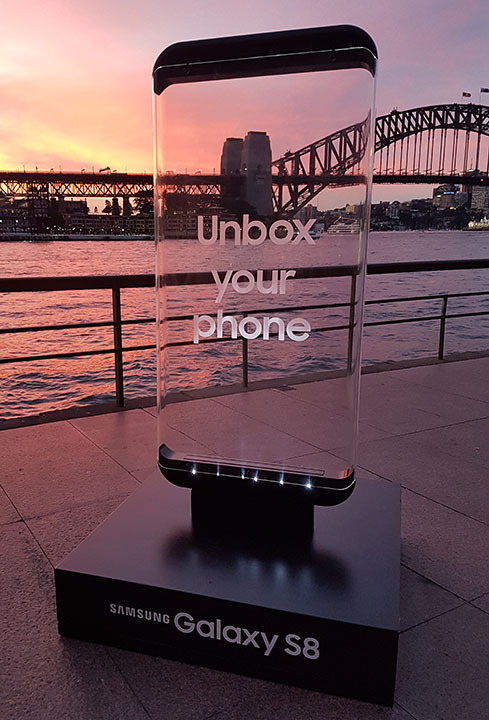 The job involved complex engineering and technical expertise to produce the scale of the phone and affect in transparent material.